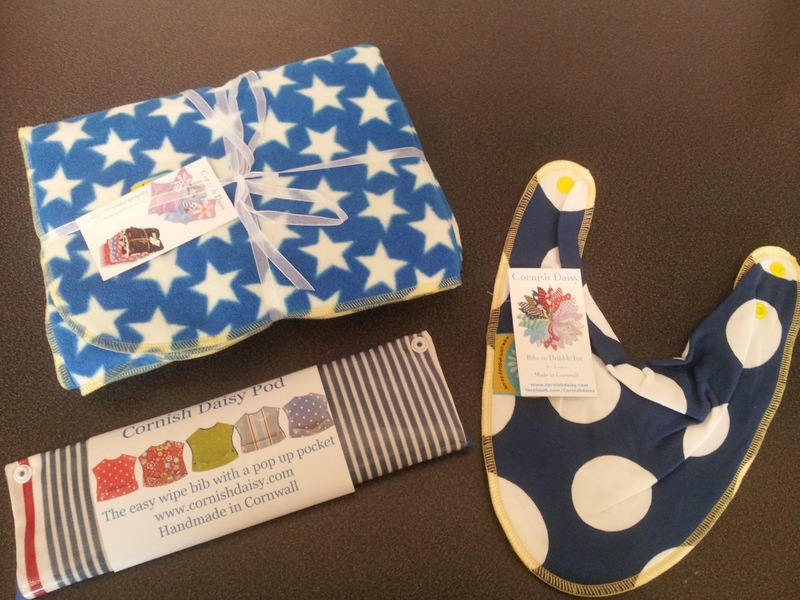 We were recently given an opportunity to review some products from Cornish Daisy. Cornish Daisy started out in 2010 in Cornwall by Kate. Kate has four children, and being a mom on a budget when she had her daughter in 2008 decided to make her some clothing. Cornish Daisy began when Kate took her daughter into a local shop for them to comment on her outfit, which Kate had made. After persuasion Kate finally made them 90 bibs, and that was the beginning of Cornish Daisy. Kate now has her mum to help her out as Cornish Daisy continues to grow. We were sent a Dribble Bib, Feeding Bib and a Fleece Blanket to test and review. When looking on Cornish Daisy there was so much selection I found it difficult to choose one style as there were so many I loved. I finally opted for a navy and white spot dribble bib, marine stripe feeding bib and a royal blue and white star blanket. There is a large selection of dribble bibs designs upon the Cornish Daisy website, so choosing one style was difficult. I aimed to go for a style and colour which would go with most of Jack's outfits. 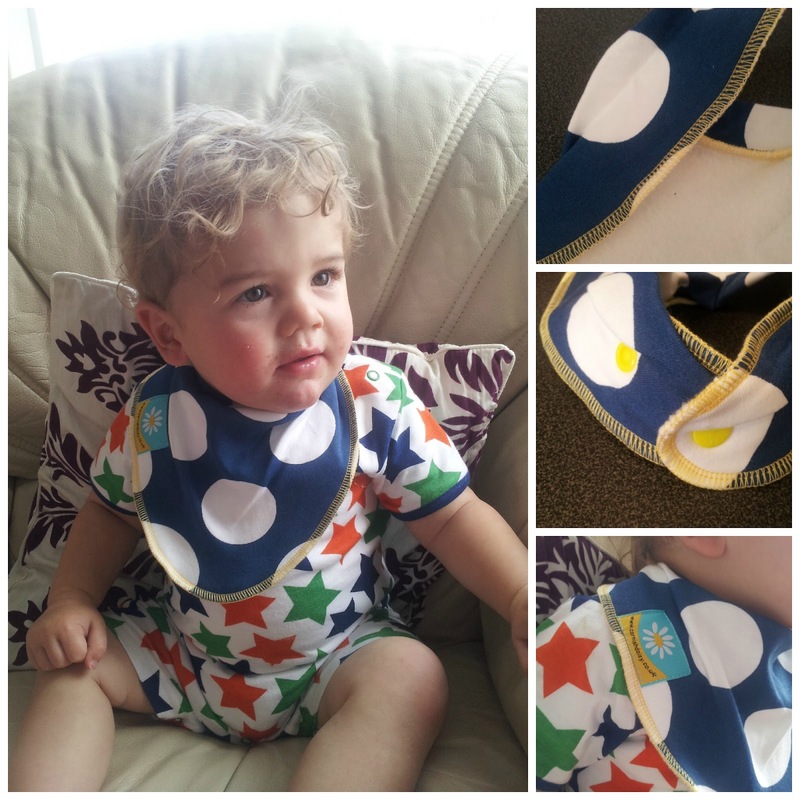 The bib consists of a fleecy backing and a cotton front, each bib also comes with 2 sizing choices at the back. We have placed this on the smaller setting and larger setting for Jack, and although the smaller setting still fit him at 16months, he was much comfortable with the larger setting. This has kept Jack's neck dry when drinking his juice, and also from the dribble since he has been unwell recently. I feel these would be perfect for babies who dribble a lot. I have washed and dried these bibs on several occasions since having them and the quality hasn't been lost which I feel is fab! 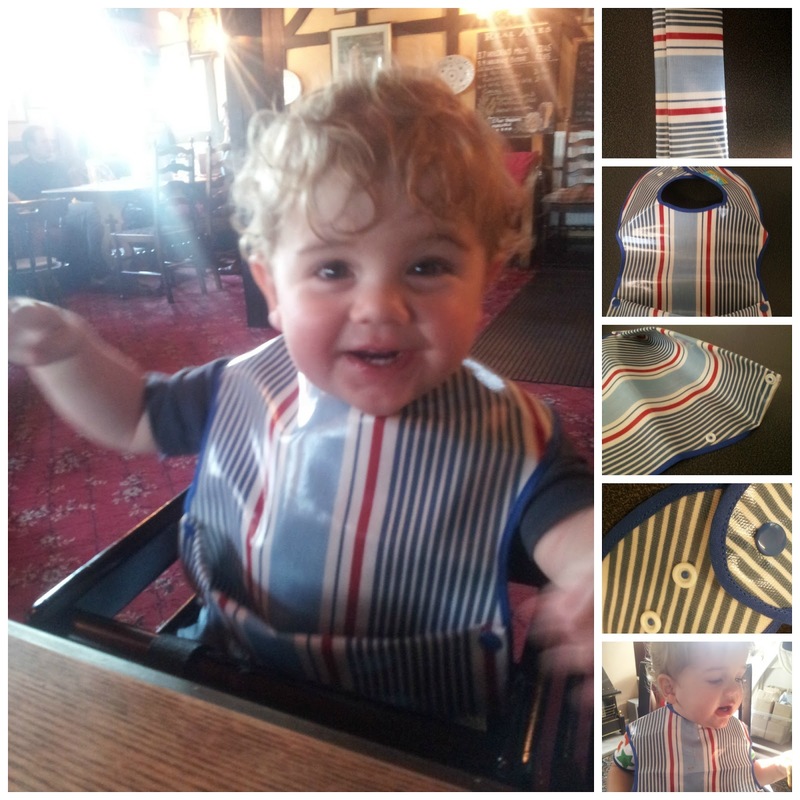 The next item we had was a Pod Feeding Bib which I chose in Marine Stripe. The initial thing I loved about this bib was that it all folded into itself; this then made it really small and simple to carry around and store within your bag. You simply then unfold it and pop it together with the side snaps and you have your bib. The design of this bib is really clever, as many of you who already use pocket bibs will know it can be hard to clean inside and remove the food from the corners. With this one from Cornish Daisy, you simply un-pop it and clean it all out. There is a 3 snap sizing around the neck, so again perfect and grows with your child. These bibs are made from oilcloth which is fantastic for wiping down. I also like that this bib covers most of the front of your child and not just the centre. 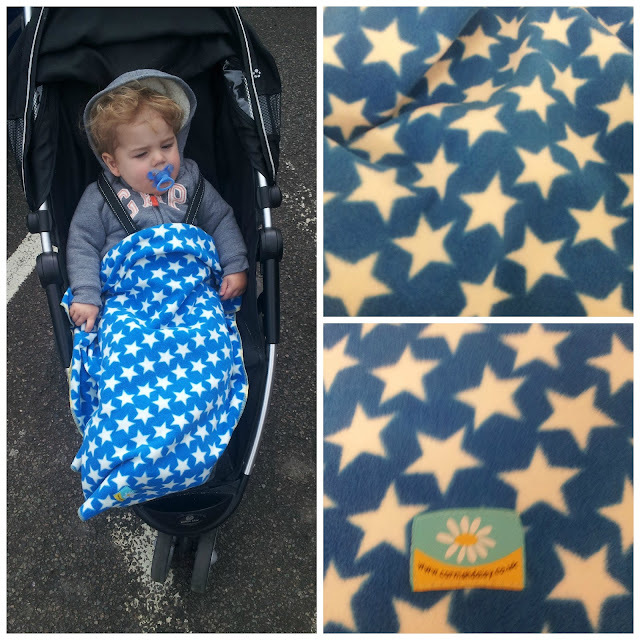 Finally, we were sent a Fleece Blanket, which I chose in Royal Blue with White Stars. Jack has fallen in love with this blanket, and loves to use it to go to sleep. The blanket its self is very soft, and compared to other fleecy blankets is lightweight. As it isn't to large, it is easy to carry around with us for when the temperature drops a little or Jack wants to sleep. We took this blanket to my partners parents who also agreed how lovely and soft the blanket was, and Jack's auntie even agreed how warm it was as she wrapped herself in it. I love that Cornish Daisy is a British company and all products they purchase to make the products are UK made too. The quality of the items is fantastic and very reasonable priced. I also feel for all of the items being hand crafted by Kate, the price is amazing. These products are gorgeous. I especially love the blanket.